SoFi is a loan company specializing in student loans, personal loans, parent loans, and mortgage loans, as well as in investment services. They are among the best companies in the business when it comes to interest rates and customer experience, but they do have strict criteria for potential borrowers, targeting clients with good jobs and decent, stable income. 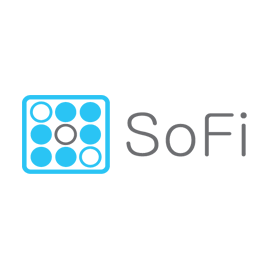 Find out more as we progress with our SoFi review. 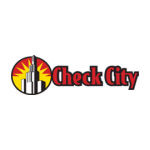 This company is ranked #1 on our Best Loan Companies list. Student debt is one of the most harrowing problems for young professionals these days. Companies like SoFi help people consolidate and refinance their student loans, whether they are federal or private loans, and they do so by offering a wide range of options to help you customize your payoff schedule, monthly payments, and lifetime costs. You can choose between a variable rate from 2.14% APR to 5.94% APR or a fixed rate from 3.50% APR to 7.74% APR. Right now, the company recommends going for the fixed rate since the interest rates are basically the lowest ever and if you can pay off your loan quickly, you can really save a lot. You can also choose a 5, 7, 10, 15 or 20-year repayment term. As we said earlier in our SoFi review, the company works with both federal and private loans. Bear in mind, though, that if you go with this company for your federal loan, you will have to give up federal programs such as income-based repayment. As for personal loans, SoFi offers loans between $5,000 and $100,000 with no origination fee, no prepayment penalty or balance transfer fee, which is nice and really sets SoFi apart from other loan companies. The repayment terms include 3, 5 and 10 years. Fixed rates go from 5.95% to 12.99% and the variable ones are 4.74% – 11.34%. In order to be eligible for SoFi’s student loan, you have to be at least 18, a permanent US resident with a 4-year degree from a Title IV accredited school (SoFi doesn’t work with all schools – the complete list can be found on their website), you have to be employed for at least three months, with a good standing on current loans, a good employment history, string monthly income, and an excellent FICO score. The conditions for a personal loan are similar, including the 4-year degree. Residents of Nevada, Tennessee, and Mississippi are, unfortunately, not eligible for a loan with SoFI. Bear in mind that just because you meet these criteria, it doesn’t necessarily mean you’ll be approved for a loan. SoFi actually has very strict criteria regarding your income and credit score and does not approve loans to people with scores under 700. The good news is that you can check whether you’ll be approved and with what kind of interest rate without it hurting your credit score. This only takes several minutes. As for the application, it’s rather simple. You apply online and if you meet the general criteria, you select a loan you want and then you will be asked to provide additional documents which can be faxed or emailed. SoFi accepts smart phone photos of papers. After that, you will sign your contract electronically and set up the autopay option which allows you to save extra money on your repayments. SoFi offers the Autopay feature that grants you .25% interest rate reduction if you opt to have your monthly payments deducted automatically. With their entrepreneurship support program, SoFi allows you to focus on your growing business by deferring the start of repayment by six months. It also provides unemployment insurance, meaning that if you get fired from your job, the repayment will be suspended until you find a new one for up to 12 months, with the interest accrued and added to the loan. As we mentioned earlier in this SoFi review, repayment terms are flexible for both student loans and the personal ones, with a choice between fixed and variable rates. The rates themselves depend on many factors but there is no denying that SoFi offers some of the best rates in this line of business. At the very end of our SoFi review, we have to say it is a great loan company for student and personal loans, with flexible repayment terms and quite low interest rates. They are a very serious company with a great investors base, very solid and reliable, and definitely a great choice for everyone interested in consolidating and refinancing their student loan and even saving some money while doing so. 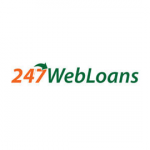 Their personal loans are very favorable too. The only problem is that they are not for everyone – SoFi has a very strict credit score and fixed income criteria. Best rates on the planet period! No origination and prepayment fees plus a quick approval and good service. I couldn’t apply because I don’t have the degree they need so I don’t have anything nice to say about this company.